A spectacular vine with very unique coloring, unlike that of any other vine. 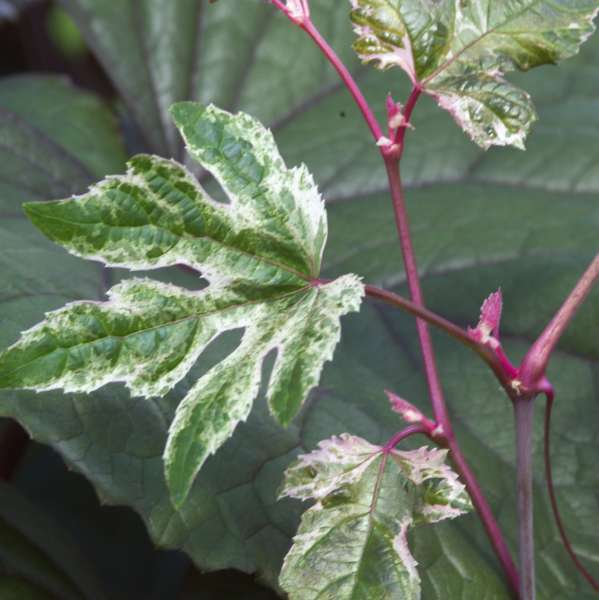 The green, grape-like leaves are heavily splashed with white and are attached to the stems by bright pink petioles. The new growth is infused with pink as well. 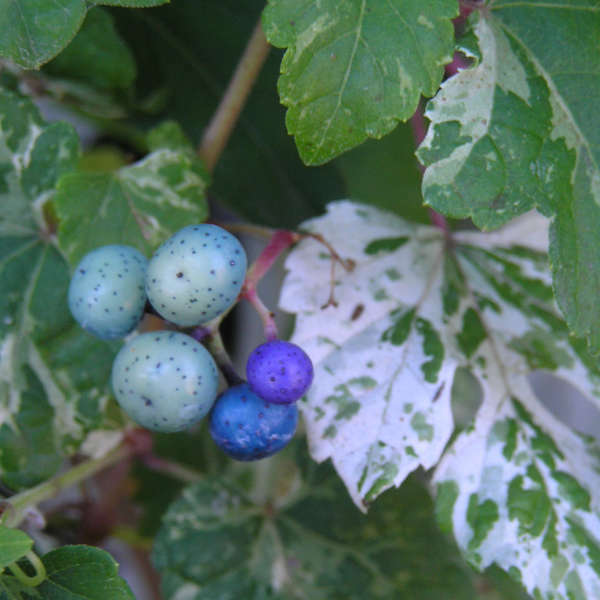 In the fall, multicolored clusters of berries are formed. Each one has a porcelain-like finish and unique color, and the different hues occur together in the same infructescence. 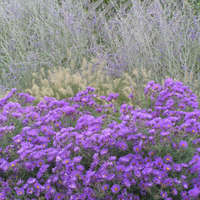 They range from creamy yellow to pale lilac, amethyst purple, and bright turquoise. 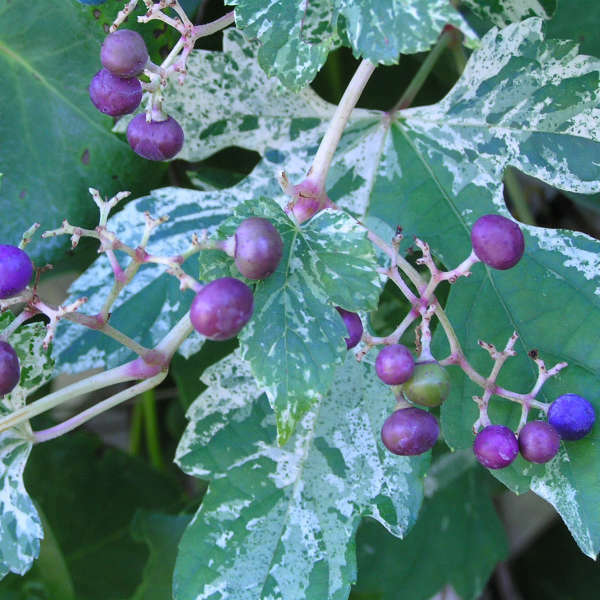 These fascinating clusters of fruit are unrivaled by any other perennial vine. Ampelopsis will grow in any soil that is well-drained. The leaves can scorch in full sun, so some protection in the heat of the day is recommended. Fruiting is heaviest in full sun but is still impressive when grown in partial shade. It also tends to produce more berries if the root growth is somewhat restricted. This vine climbs by means of tendrils and therefore requires some means of support on which to grow such as a trellis or fence. 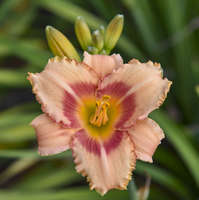 It is a slow grower, but is worth the wait.